A faster surface with different rules and filled with stick skills - what is not to love about the indoor game?! 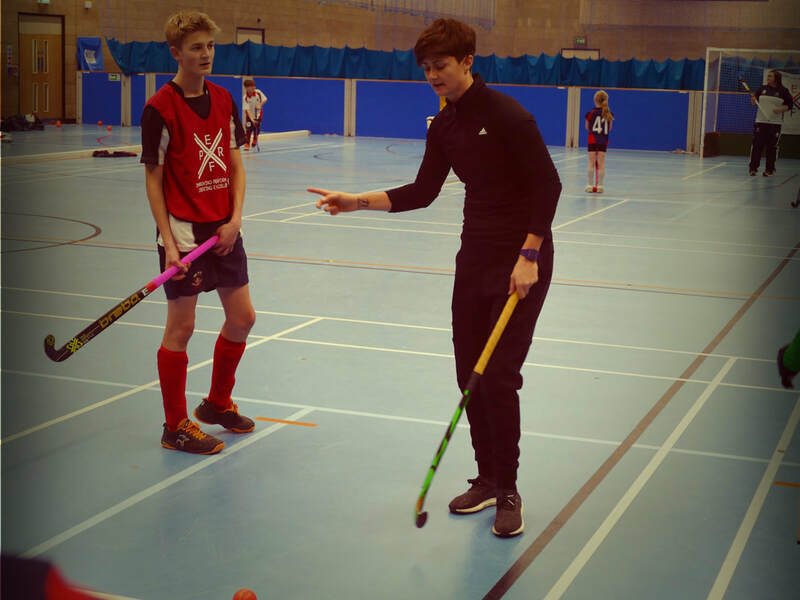 This winter players can get themselves stuck into a fun and engaging set of practise sessions followed by lots of game time. What difference does it make to a player? For those that play indoors, the players simply love it! It is all about speed, skill and playing the same game under a different rule set. Players don't get to play indoor hockey very often and are usually elated to be able to do so. A lot of players would choose to play indoor hockey rather than outdoor if given the option, simply because the option to play indoor is so rarely available. DO YOU NEED DIFFERENT EQUIPMENT? The honest answer is that you don't have to. 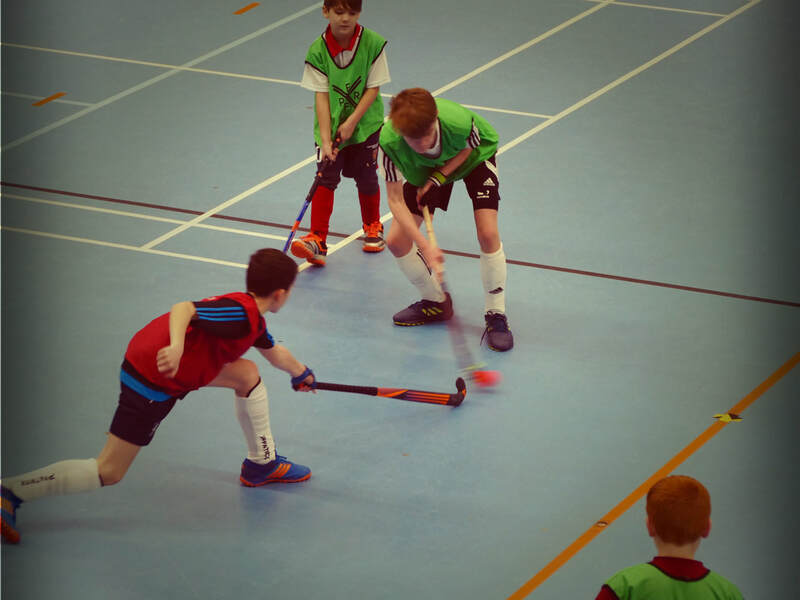 Indoor sticks are lighter and thiner allowing the players to be more agile on the ball however there are no rules against using outdoor sticks, in fact many top indoor players use outdoor sticks. It is down to personal preference however an indoor stick will prevent the ball from jumping up and lifting (something the indoor rules prevent you from being allowed to do). Why is it more expensive than an outdoor masterclasses? Indoor hockey is only typically played 2-3 months a year in this country and therefore most indoor halls are not purpose built for our sport. With this in mind most venues charge the cost of hiring the entire hall out for the day, covering what they would usually charge for several badminton courts over the day. The hiring out of these halls (be it for badminton, football, table tennis etc.) is usually a sports centres main income revenue so they have to maintain this income, naturally making indoor hockey an expensive hobby to have. This is also the main reason we stick to just the one-off event each year. Book YOUR INDOOR MASTERCLASS NOW. In booking a place onto the camp you give your consent as the parent/guardian of your child to participate in the camp and you can confirm that your child/children, named in the registration form, is fit and able to cope with strenuous exercise. You understand and agree to the terms and conditions outlined on this website. You also give your consent for a member of staff to obtain and authorise medical treatment in your absence should the need arise. You understand that PerfX Hockey and its linked associates will store my personal information that you have given as part of this booking and they may contact you at a future date to inform you of its future events. Lastly by completing this booking process you give your consent to the use of photography during the session to be used in future promotion, including our website and social media pages.